TEMPE, Ariz. - April 13, 2019 - PRLog -- AZ ECO Fashion Week is excited to bring to you an amazing talented expert panel on sustainability for the second year in a row on Wednesday, April 24th, from 6:00 to 8:00 pm during Earth Week.. This event is organized by Arizona Apparel Foundation, LabelHorde, AZ Fashion Source and Arizona State University's Julie Ann Wrigley Global Institute of Sustainability. "Arizona ECO Fashion Week is an effort to shed light on the unsustainable practices of the modern apparel manufacturing industry and highlight the sustainable solutions" said Johnson. "We hope to educate and engage Arizona designers, businesses, academics, youth, students, experts, and leaders in the community to explore a new frontier in the business of ECO Fashion." The week includes expert panel discussions, workshops, student conversations, a green trunk show and more. The event will culminate in a "reFABRICate" fashion show highlighting sustainable local brand's collections as well as FABRIC's zero waste "reFABRICate" initiative featuring one-of-a-kind garments created by a team of local designers who breathe new life into AZ Fashion Source's manufacturing scraps. Right after the fashion show, reFABRICate apparel will be available to purchase at the Eco Pop-Up Shop inside FABRIC. AZ Eco Fashion Week is part of Earth and Fashion Revolution Week. 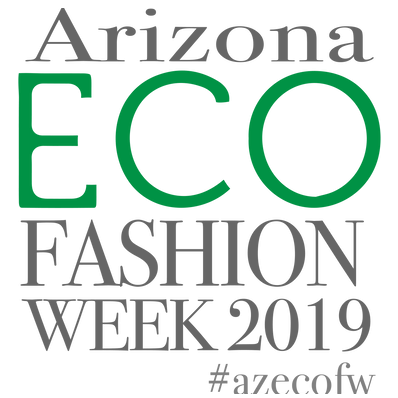 With the support of Fashion Revolution, AZ Eco Fashion Week encourages Arizonans to join in on the conversation at #azecofw and ask #WhoMadeMyClothes on social media during the event. This international effort raises awareness to pressing issues in sustainable fashion and brings international attention to the solution that FABRIC offers with local, small batch manufacturing and design resources. FABRIC is a fashion incubator where emerging designers can grow their abilities and their businesses. Featuring co-working and event spaces, workshops and classes as well as mentorship, micro-manufacturing and marketing opportunities, FABRIC allows designers to take their idea from concept to sewn to sold. The facility is a unique partnership of the City of Tempe, the 501c-3 Arizona Apparel Foundation, LabelHorde and Arizona Fashion Source and is located in downtown Tempe just off of Mill Avenue and on the Arizona State University footprint as well as online at www.fabrictempe.com. ARIZONA APPAREL FOUNDATION is an Arizona non-profit 501(c)(3) corporation that is located inside of AZ's fashion incubator, FABRIC and can be found online at www.azapparelfoundation.org. The Foundation's mission is to provide Arizona's emerging designers and brands with innovative, small batch manufacturing and strategic business resources, so they can build sustainable fashion businesses locally. Its vision is to support cutting edge research and innovation in wearable tech and to build a sustainable and exciting new industry in Arizona. LABELHORDE is a category-driven, online directory of fashion businesses enabling users to easily locate local emerging and established designers, boutiques, manufacturers, photographers, models, stylists, industry supplies, fashion schools and all things fashion related in Arizona. LabelHorde.com also features a Fashion Classifieds page for local fashion jobs, a Fashion Calendar that lists all local and important national fashion events. LabelHorde is located inside of AZ's fashion incubator FABRIC where it offers lessons/classes, tech pack services, consulting, and design studio resources that designers need to start and run their businesses. ARIZONA FASHION SOURCE is a small batch apparel manufacturer located inside AZ's fashion incubator FABRIC, that uses sustainable and state-of-the-art manufacturing processes to create samples and production runs with no minimums. AFS manufactures heavy- and light-weight knits and wovens on industrial sewing equipment and the latest CAD programs and can be found online at www.azfashionsource.com.